Ciment Català has, among its main objectives, the communication of the commitments that the industry adopts with society, either directly with certain entities and institutions, or indirectly through agreements signed with Public Administrations. In all of them lies the rooting of the cement industry with Catalan society and economy, as well as its responsibility to the well-being and development of people. 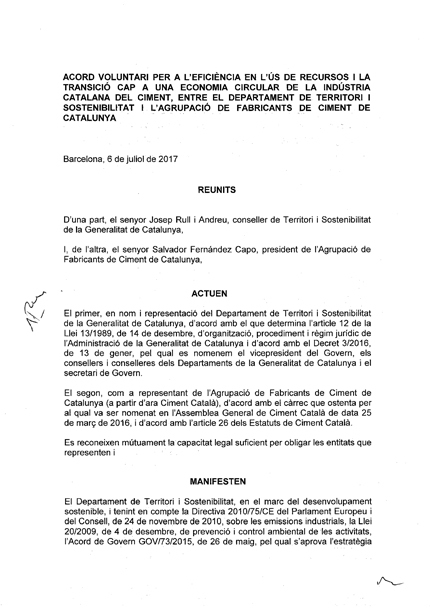 Voluntary Agreement for efficiency in the use of resources and the transition to a Circular Economy of the Catalan cement industry between Ciment Català and the Departament de Territori i Sostenibilitat de la Generalitat. 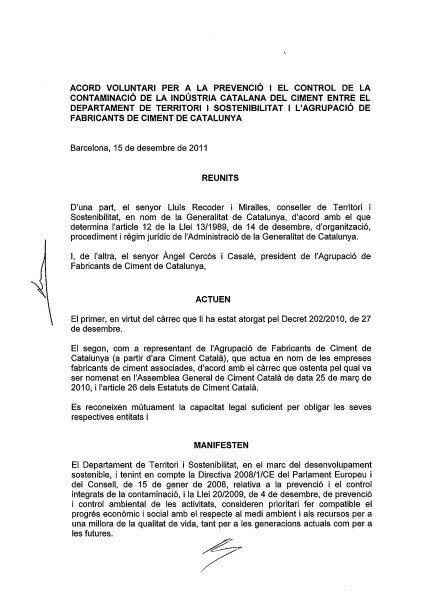 Voluntary Agreement for prevention and control of the contamination of the catalan cement industry between Ciment Català and the Departament de Territori i Sostenibilitat de la Generalitat. 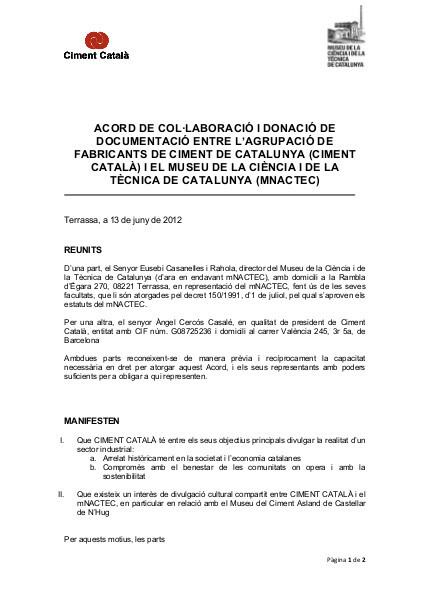 Agreement of colaboration and donation of documentation between Ciment Català and the Museum of Science and Technique of Catalonia (MNACTEC). 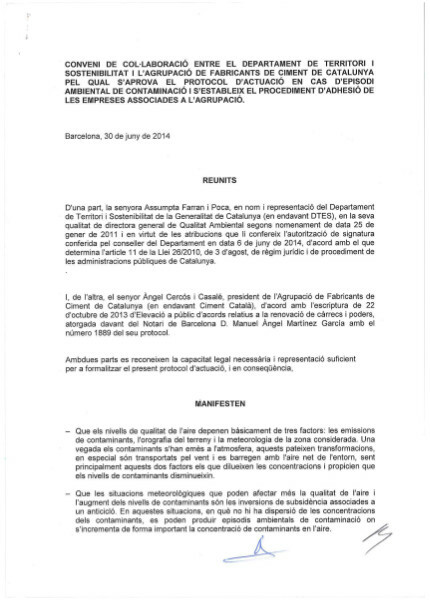 Agreement of colaboration between Ciment Català and Departament de Territori i Sostenibilitat de la Generalitat through which the Protocol of Actuation in case of environmental contamination incident gets approved.